For Children up to age 3 years old. 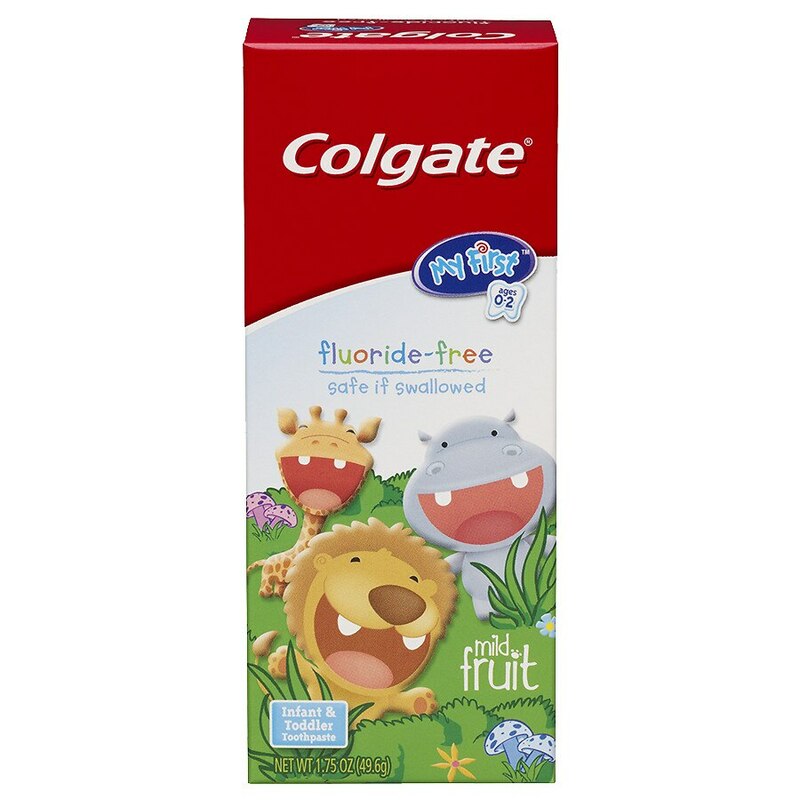 My First Colgate Infant & Toddler Toothpaste is low foaming and does not contain lauryl sulfate. Once your child demonstrates the ability to spit out toothpaste into the sink, Colgate recommend you switch to Colgate Toothpaste with flouride to help strengthen and protect teeth from cavities. Squeeze a pea sized amount of toothpaste onto bristle of an extra soft toddler's toothbrush, for example My First Colgate Toothbrush. Use a small circular brushing motion to help remove food and plaque.